Ceiling Fans – Are They Worth It? Ceiling fans are one of the most versatile, and frequently used appliances in our homes and businesses. Not only can a ceiling fan add a great aesthetic to any room, it also provides increased comfort both during the summer and the winter. Depending on the direction that your fan is turning, it can either force air downward to create a wind chill effect on hotter days, or pull the air upward to help circulate warm air that has collected near the ceiling. A ceiling fan is a great way to save money all year without reducing your level of comfort. Furthermore, a good ceiling fan can actually raise the value of your home. 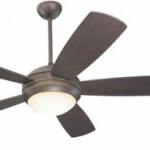 A good ceiling fan can change not only the comfort level in a room, but the overall atmosphere. Because they are available in a variety of shapes and sizes, there are ceiling fans made to match any size and style that you may desire. Many fans also offer customized options, such as interchangeable blades, remote controls and custom fan pulls. With the proper selection, you can create the exact ambience that you are looking for in every room.